A driver who operates a vehicle as part of their job opens the business up to potential lawsuits and fines. HR professionals should think about implementing driver screening and monitoring into their suite of safe hiring processes to protect their organization from unsafe or unqualified company drivers. The first smart action is to acknowledge that, even if a driver was well-qualified and legally approved to drive when hired doesn’t mean it will always remain that way. An employee’s driving history opens an organization up to significant liability if they function as a driver. What if he is caught and convicted of driving under the influence or incurs other serious moving violations? What if his driver’s license is expired? Your business could end up being slapped with a costly negligent hiring claim, devastating public relations press, and expensive litigation. What actions can HR Professionals take to mitigate these risks? Recognizing drivers as unique employees. Drivers are tasked with operating cars, vans, and trucks, unlike employees that stand behind a counter or sit at a desk. If he or she is under the influence or careless, there could be drastic consequences that aren’t applicable to other company roles. Wrecks, damaged property, personal injuries, and even fatalities can result from driver employees. In addition, drivers who lose their licenses or receive excessive tickets for infractions open the company up to lawsuits or fines that could harm or even tank your organization. Crafting a thorough pre-employment screening and ongoing monitoring process. Motor Vehicle Records (MVR) search. A Motor Vehicle Records search plays an important part in choosing safe, responsible drivers and is the first line of defense if there’s ever a negligent hiring claim made against an employee who drives company vehicles or who drives on company business. Performing a motor vehicle records search enables employers to minimize the risk of bringing on a person with a history of unsafe driving that may put other employees, customers, or the public at risk. An MVR report accesses driving records and is allowed in all 50 states, although no national database of driving records exists. A motor vehicle records search sheds light on red flags about administrative information, such as the type of license a driver holds, issue and expiration dates, and any restrictions on the license. The search will also uncover illegal information reported on the driver, such as violations, disciplinary actions, convictions, revocations, suspensions, and accidents. Drug Test. A drug-addicted driver slipping through your background screening process can end up having disastrous consequences for your organization. Implement consistent, stringent drug screening measures such as urine, hair, or saliva testing as part of your background screening process. Screening potential new drivers before extending an offer to them is a smart starting point when hiring drivers. From there, once they are hired, they will need to be monitored. This way, if they commit too many infractions or lose their license, you will be apprised as soon as possible. Many organizations make the mistake of only monitoring their drivers on an annual basis. This isn’t often enough and leaves large gaps of time that can cause big problems for companies. What if the driver loses his license in May, and you don’t screen him until November? That’s 6 months of time that your company is open to lawsuits and fines! HR professionals should put thought into developing an automated driver monitoring procedure to alleviate this risk. Taking the human error factor out of the process and monitoring driver activity more closely than traditional annual checks closes the loop and cultivates a compliant and legal workforce of drivers. Uniformity is perhaps the biggest protector when it comes to litigation against your organization. Screening haphazardly or only in certain cases can lead to less than stellar new hires and opens you up to discrimination lawsuits. Your screening and monitoring policy should be written and clear, and all hiring managers must be well-trained on what is expected. Subject all applicants applying for the same type of position to the same pre-screening and monitoring practices. 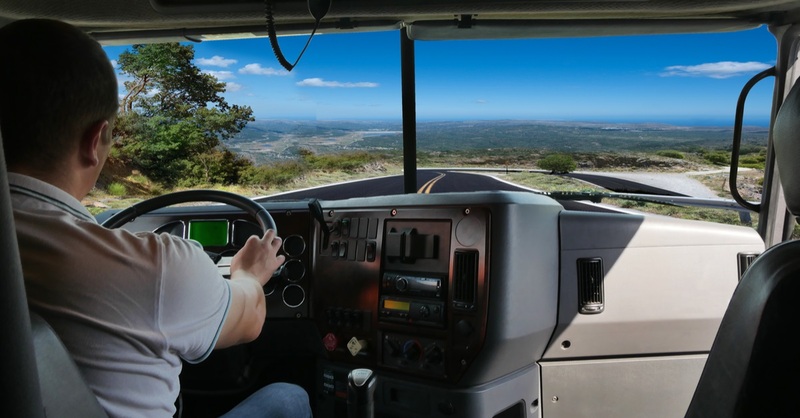 To serve their clients, hiring and keeping drivers on the payroll is a necessity for many companies in a variety of industries. It comes with increased risk and heavy responsibility. HR must lead the charge to protect the company and the safety of the workplace by taking precise, actionable measures. With strategic planning and a strong policy of pre-employment screening and post-hire monitoring, companies can be confident the drivers in their employ are operating legally, safely, and with up-to-date credentials.